After reading the report «On the Problems and Consequences of Global Climate Change on Earth. Effective Ways to Solve These Problems», which had been prepared by the group of ALLATRA SCIENCE scientists, I became interested in tracking the real situation in the area of the Yellowstone Caldera (Wyoming,USA). This is the most geologically active region on the planet (and beyond it on the list is Aira caldera in Japan), in which the changes occur every hour, and in the direction of the revitalization of the supervolcano. According to the latest estimated ALLATRA SCIENCE these changes are irreversible and the super eruption - it is only a matter of time. In the special open sources, there are seismograms in the regions adjacent directly to Yellowstone. However, the real information about the seismic activity and the ongoing processes in its subsoil is closed to the public. But why? Any delay may cost one billion lives! What is more precious than life? According to official information, 3 January in the morning an earthquake of magnitude of 4.9 in Idaho (USA) (250 km from the Yellowstone caldera) has been registered. The epicenter was located in the mountains near the city Challis. As usual, there was only general information in the press, limited only by this incident and purely this territory. However, let's try to look at the situation more deeply and analyze at least the information available on the network (so far it has not completely removed). The site of the Center of the University of Montana studying earthquakes (MBMG Earthquake Studies Office, Montana Tech, University of Montana) http://mbmgquake.mtech.edu/earthworm/wavef_disp/current/welcome.html contains an archive of seismograms from sensors located in different parts of states which adjacent directly to Yellowstone. Fig. 1. presented seismogram recorded near Hailey, Idaho (Hailey, ID), which is located west of the Yellowstone caldera. Please note that the scale value to the vertical is equal 66.67 microvolts. Information about the earthquake of magnitude of 4.9 has been disseminated in media. Now consider seismograms of Montana the same morning, January 3, which is located north of Yellowstone. According to official information, the wave of the earthquake in Idaho has reached the Montana, where sensors have recorded it. Everything seems fine, but strange seems the significant facts, firstly, a series of tremors recorded in Montana, was an hour and a half earlier than tremors in Idaho, secondly, the amplitude of the seismograms jumps in Montana exceeds the amplitude jumps in Idaho! However, on that day, January 3, media in the State of Montana did not report about the epicenter of the earthquake. Why? The figures show a significant amplitude of tremors in the cities of Montana: Bozeman (Fig. 2a), Missoula (Fig. 2b), Dillon (Fig. 2c), Elliston (Fig. 2d). It should be noted that the scale value on these seismograms from 100 to 500 (!) microvolts (in contrast to 66.67 microvolts in Idaho). So, even taking into account various sensor calibration, signal gain mechanism, yet the earthquake in Montana was significant in magnitude, but the media "forgot" to write about it. Fig. 2. The seismograms recorded in the cities of Montana, January 3, 2015: a) Bozeman, b) Missoula, c) Dillon, d) Elliston. Then the situation becomes completely mysterious. 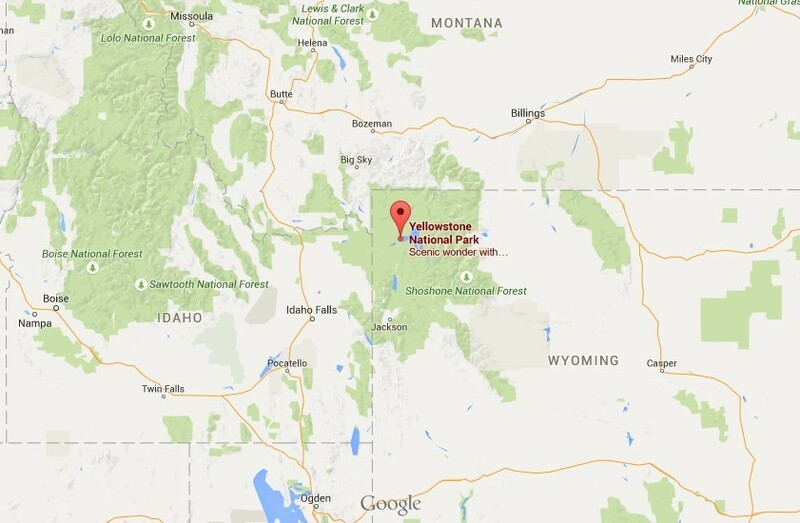 Geographically, Yellowstone National Park (Wyoming) borders exactly to Idaho (in the west) and Montana (north) (Fig. 3). Fig. 3 Map of the supervolcano Yellowstone (United States). However, seismograms on official sources in the area of the Yellowstone caldera show only minor tremors (Fig. 4a and 4b), which amplitude, if they are still genuine, "censored" (to hide the real amplitude of the tremors, also the line at 10:45, which just meets the time of the earthquake in Idaho, is removed). Most interesting is that according to scientists, who were working directly in the area of Yellowstone caldera after January 3, there are any signs of increased activity of supervolcano. Why did it happen and whose Will gave people another chance? According to modern research in volcanology, Yellowstone super eruption could occur at any moment and could be provoked by an earthquake of magnitude of 6-7 points. Scientists have no doubt that it will happen. It is only a question of time.. Fig. 4. The seismograms recorded in the area of the Yellowstone caldera (United States), January 3, 2015. The report ALLATRA SCIENCE states that, thanks to the launch of adaptive mechanisms, scientists of this international community have prevented the eruption of the Yellowstone supervolcano, in April 2014. The direction of research, which is able to solve such complex problems, which are unsustainable for todays “official” science called climatic engineering. After relative stabilization of the Yellowstone caldera, the rate of its activity rose again, currently volcanic processes are gaining strength. 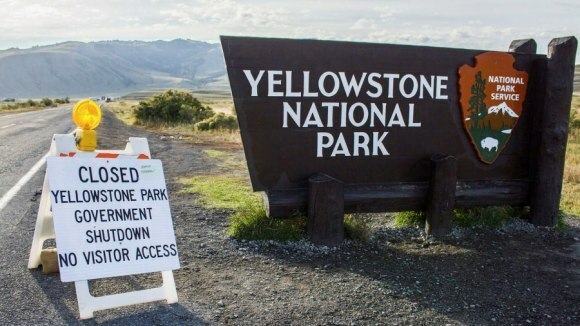 In the most modest forecasts of various scientists, super eruption of Yellowstone caldera can strongly affect the rapid climate change on the planet. But the worst is that it is able to destroy life on the whole continent. We need urgent extraordinary actions, which can bring people together in a close-knit global family, because no one can cope with the global problems of the next few years alone, be it a person, family, company, city or country. It is vital to promote ultrafast development of THE PRIMORDIAL ALLATRA PHYSICS, through the participation of different good-faith scientists all over the world. Today, every socially responsible citizen of the world is able to do very much. Keys are given – ALLATRA SCIENCE, but the choice of their use is dependent on each person. What do you choose?